REGISTRATION IS OPEN – CLICK ON THE FLIER! 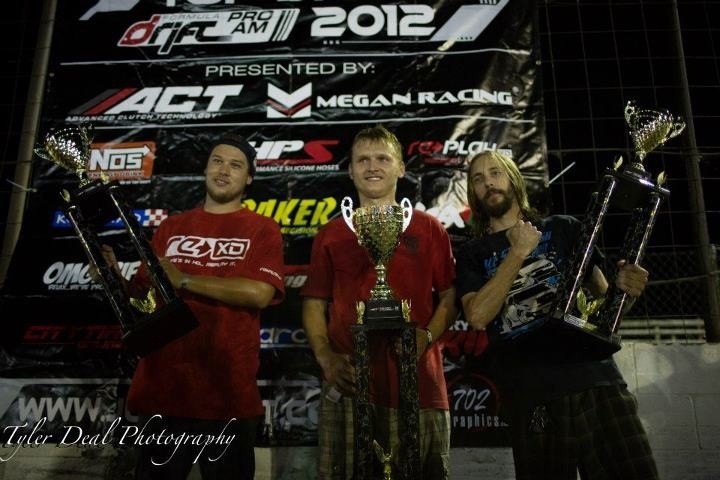 Congratulations to TOPDRIFT RD4 Winner and the TOPDRIFT 2012 Champion! GOOD LUCK with your PRO LIFE as a ROOKIE in Formula Drift 2013! JUSTDRIFT | admin August 20, 2012 | Comments Off on Congratulations to TOPDRIFT RD4 Winner and the TOPDRIFT 2012 Champion! Round 4 is right around the corner! It’s a tight battle for the 2012 Championship! Final of the year is here! Come participate or watch your favorite NEW UPCOMING FORMULA DRIFT PRO LICENSED DRIVERS! Practice starts Friday night 5PM – 12AM! come out! Gate fee is $10 – which is good for the whole weekend! JUSTDRIFT | admin August 3, 2012 | Comments Off on TOPDRIFT ROUND 4!